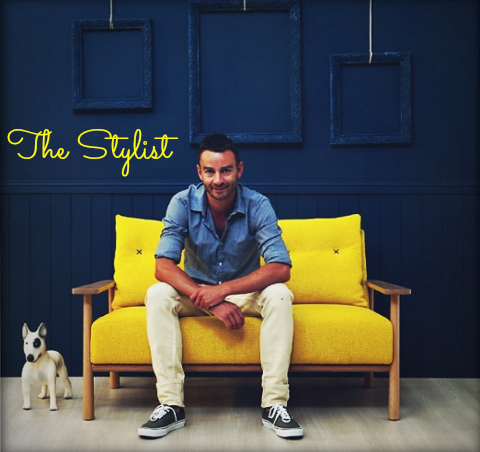 When I mentioned being a fan of the Australian stylist and blogger Jason Grant in Friday's post, I made a mental note to share some of his work with you in the near future. As it turns out, the gorgeous home I've chosen for today just happens to have been styled by Jason for the Jan/Feb issue of Inside Out. 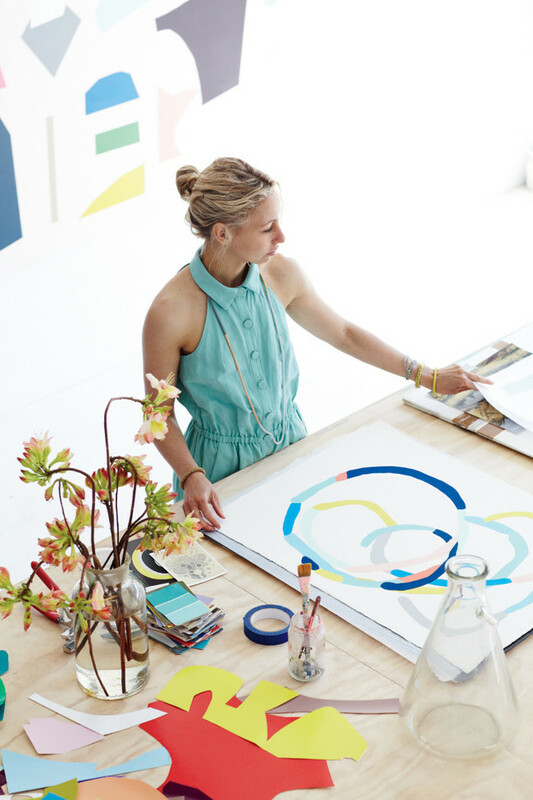 Not only that, it's the home of talented artist Kirra Jamison, so you get two inspiring creatives for the price of one! 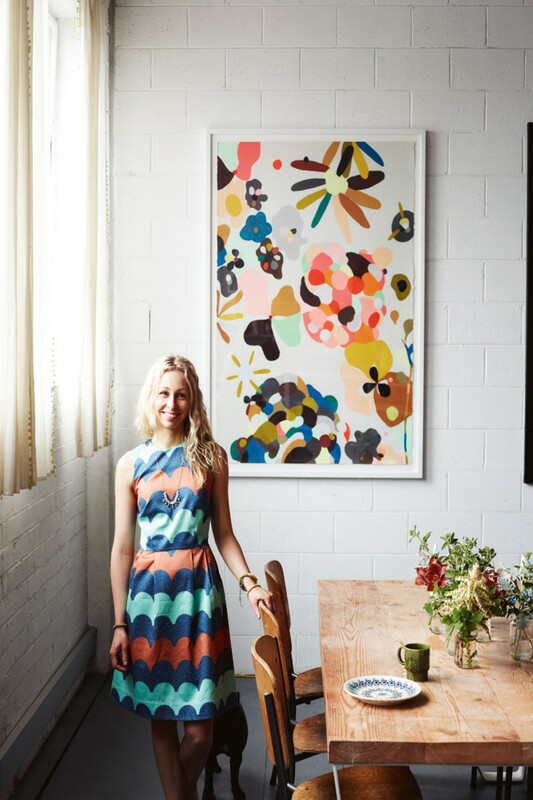 I first discovered Melbourne-based Kirra via The Design Files where she has been featured many times. I was instantly captivated by her artworks which she has been exhibiting regularly since graduating from art school in 2006. I love her use of colour and pattern, her abstract pieces and the more complex ones which have a beautiful, enchanting quality. Jason's flair and expertise has led him to become the go-to guy for dreaming up and creating exciting editorial and advertising concepts. In addition to Inside Out, his work has featured in many other Australian and International magazines including Real Living, Living Etc, Australian Country Style, Elle Decoration and French Glamour. He has also worked with many big name brands including Sheridan, David Jones, Office Works, Murobond Paints, Freedom and Myer. 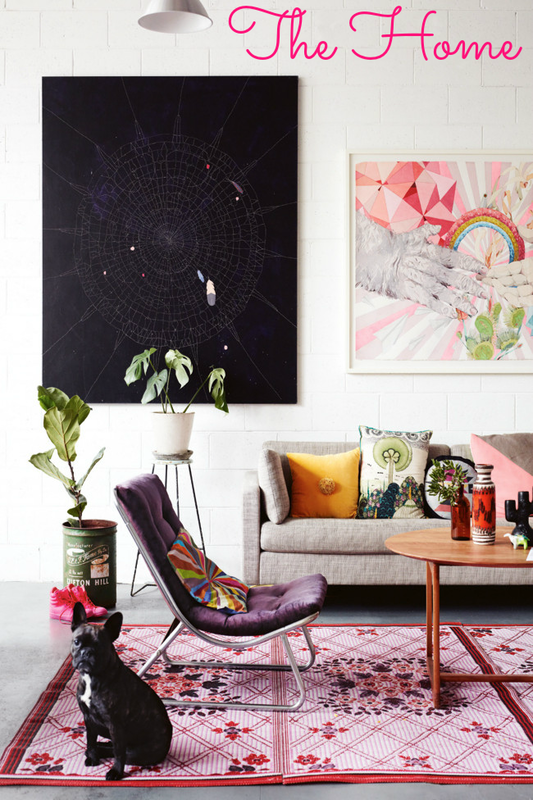 Kirra's home in Melbourne is a partially converted industrial warehouse, perfect for showcasing her incredible art collection. I love the walls which are a mix of exposed concrete bricks and blocks. Walking through our future home on the weekend (currently a building site), I couldn't help but visualise it with the concrete blocks left exposed. It's such a cool look, and despite not being suited our home's aesthetic, I'd think about trying it next time! Painted white, Kirra's walls provide the ideal backdrop for the colour and pattern that bursts from both Kirra's art and those by other artists, such as the watercolour painting by Luisa Rossitto in the living room above. Cushions from Castle, Anthropologie and Beci Orpin tie in perfectly. If this is your first time being introduced to Kirra, then I urge you to take a look at her artwork series, Love Me Two Times. Exhibited at the Linden Centre for Contemporary Arts in 2011, I would love to own one of these colourful pieces one day. Kirra has put one in her dining area above and it looks amazing. Kirra's eclectic style is evident throughout her home. Unafraid of mixing pastels with brights, I'm surprised at how great the pink chairs look alongside the scarlet red door. 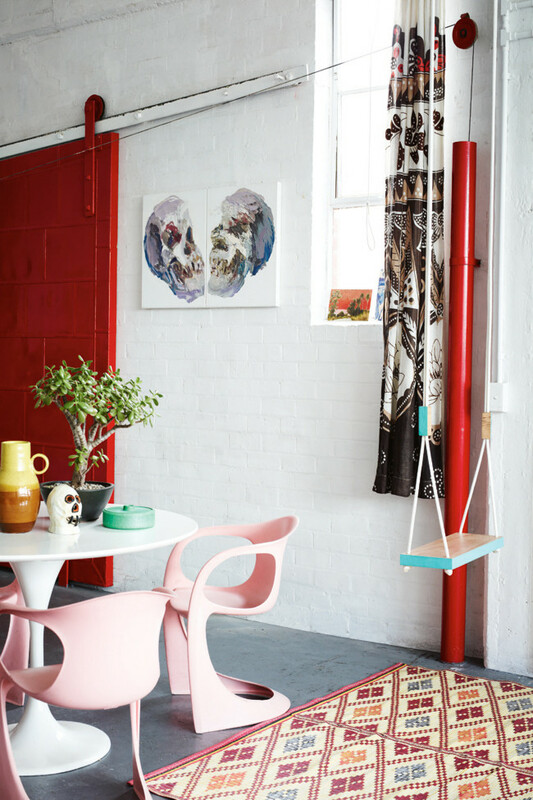 I especially love the swing seat which Kirra got from Pop & Scott, the patterned rug, and the skull paintings by Ben Quilty. 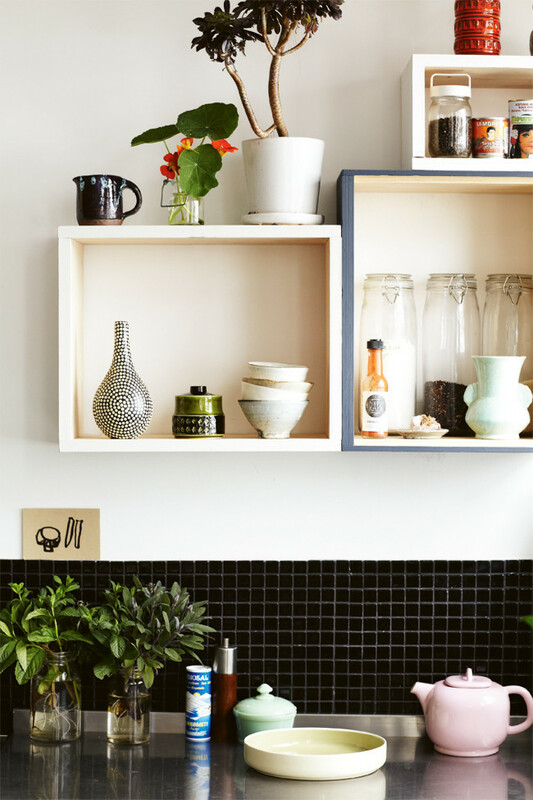 Wall-hung boxed shelves in the kitchen are both cute and practical, perfect for displaying a fun mix of glass jars, tins and ceramics. Kirra's love of cooking, inspired by her time spent living in Tokyo can be seen on her beautiful blog Keke, a side project where she shares the stories and recipes of interesting people she knows. Gorgeous bedlinen is made up of a striking duvet cover by The Vallentine Project and fun pillowcases from Castle and Beci Orpin. 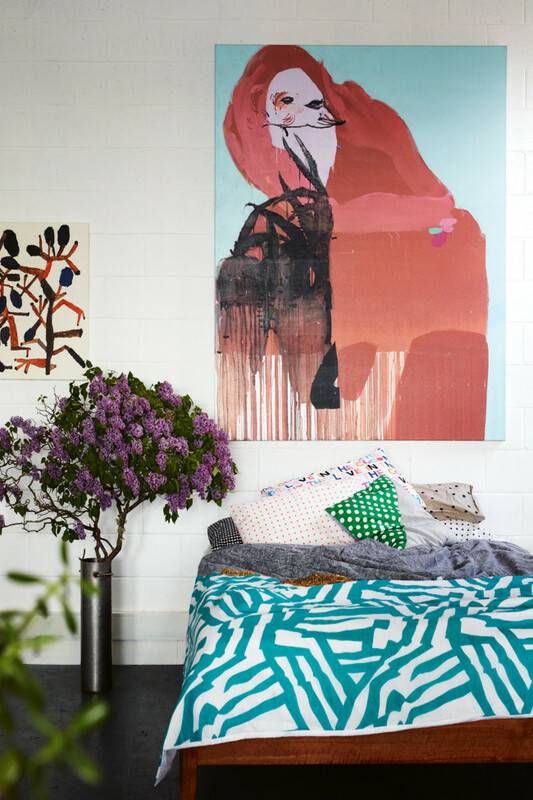 A Rhys Lee artwork above Kirra's bed provides a big dose of wow factor. Often the highlight of an artist's pad, Kirra's studio doesn't disappoint. 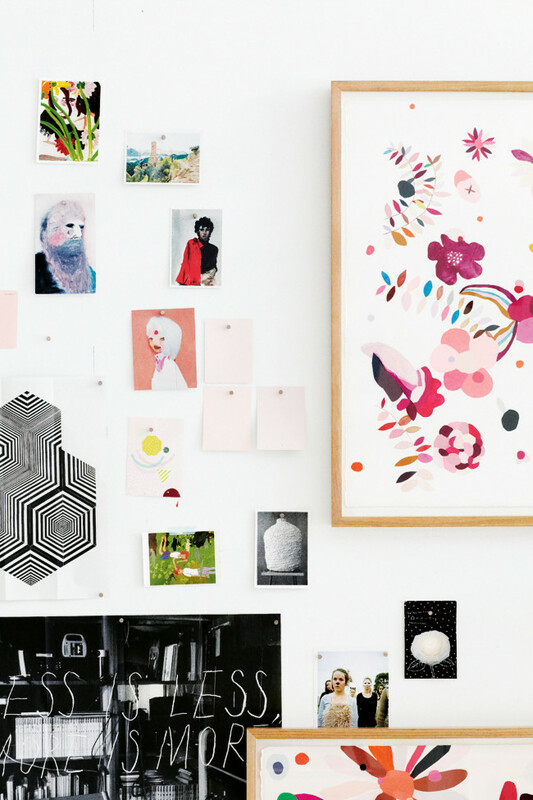 Filled with light, the space is oozing creative energy, with her works forming part of a wall collage above. I also love her painting below entitled Loop. To see more of Kirra's work, take a look at her website and don't forget to check out Mr Jason Grant, where you will find more of his inspiring styling work. Before I go, I just wanted to share some exciting news with you. I have been included in the Huffington Post Pinterest Accounts to Follow Now list! Melanie at A Cut Above The Retsy nominated me. (If you are a fan of Etsy, and let's face it, we all are then you must check out her site. It's a brilliant resource!) Melanie has been wonderfully supportive of my blog and Pinterest boards, and I am hugely honoured to have made the list. Huge thanks to Melanie and also to Huffington Post for choosing me! Oh yes, the pink chairs are hot! I've been a fan of Kirra's work for a while now, and her home was the main reason I bought the last Inside Out mag. It is now on my list of my favourite homes ever! Love, love, love it.